Like every legendary worldly entity has a long and deep story, the cricket bat and its evolution date back centuries. The first few mentions of the cricket bat can be dated as back as the first quarter of the 17th century. This may come as a surprise to most, but those first few mentions of the bat will recall an incident which took the life of a fielder who tried to catch the ball, but was hit by the batsman’s bat. Many believe this was the very incident that initiated the law we know today as “obstruction law”. Bats during the early cricket days were shaped pretty much like the hockey sticks we see today. Back in those days, cricket was vastly different to the cricket of today, from almost every angle. Bowlers used to bowl underarm, more like baseball style. Following the allowance of the bowlers to bowl overarm (the loop through) in the late 18th century, the cricket bat evolved into the rectangular shape we are familiar with. The change in the bowling laws also provoked massive changes in the batting techniques, as plays had to adjust to a whole new level of both vertical swing and pace. Although, the bats were concentrated with bulk wood at the bottom even back then, the modern day shape was adapted after the introduction of the round-arm bowling action. Several historians and books claim that in the early period, there were no laws and restrictions limiting the size or shape of the cricket bat. That was until 1771, when this genius, One ‘Shock’ White from Ryegate showed up with a bat the size of the stumps, against a Hambledon side. White’s tactic received heavy criticism and understandably so, following that, the width of the bat was limited to 4 and a quarter inches. The rule became quickly adapted throughout England. The new shaped paved way for a variety of new shots and techniques, some of which we can witness in modern day cricket. What were/are bats made of? In the early years, various timber types were experimented to craft the most stable and balanced of blades. The vintage practices feature cricket bats carved out of English willow, which is also known as “Salix Alba Caerulea”. This method has been in implementation since the start of the 19th century. The choice of Willow can be explained by the fact that it is extremely durable and light at the same time. Willow can be considered more of a well balanced timber when compared to other typed, which were either too dense or too heavy to be played properly with. The early English willow bats were super heavy, they weighed in at something around 5 pounds! This was partly because they were constructed from the heartwood of a tree, which also explains why the early bats were darker in color. The practice was altered, when in the closing period of the 19th century, sapwood instead of heartwood of the tree began being used. Bats turned out way more light and looked more stylish and less dark! The white willow was the center of attention now, and all bats began being crafted from it. The white willow bats were far lighter than the previous versions, and weigh merely a few pounds. This change coincided well with what was known as the Golden age of batting, the same period which also historically led to the advent of international cricket. Batsman began using lighter blades to good effect. The bats were now being crafted more slim and physically sleek, with super thin edges. The weight concentration was more on the blade part, much like in the case of modern day bats, though the actual length of the bat was smaller than what we see today. These bats weighed around 2 pounds, which means that batsman had to rely on more on lighter touches rather than power, in contrast to earlier times, when batting was based more on power hitting and aggressiveness. This also gave birth to late cuts and other artistic shots, which began increasingly adapted by the smarter batsman in those days. Although, the white bats did offer a very balanced and lightweight structure for most batsman, some aggressive lads began reusing heavier bats in the late 1920s. While greats like Don Bradman were using the 2 pound 2 ounces bats, some big fellas like Bill Ponsford settled for heavier blades which weighed some 2 pound 9. The heavier bats lasted longer than the light ones, which was majorly because of the fact that the willow was well pressed during bat manufacturing. Majority among the cricketers were still making use of the light bats, and batting techniques were predominantly based on touch and feel. While today, bowling 110 overs in a single Test match day would sound astonishing, not so in the old days. 110 overs were routine work back in those times, and the run rates never creeped above the 2.5 per over mark. Moreover, with the introduction of timeless and 5 day Tests, quick runs became even more scarce, as batsman now relied more on surviving than scoring. Batsman tended to flick or deflect more than they did to strike heavily. By the 60s, several players from around the world chose to adapt the ancient practice of super heavy bats, which exceeded 3 pounds in weight. The likes of Clive Lloyd, and Graeme Pollock, with their new heavy blades, were now hitting with more power and strike force. Though, the heavier versions of the bat didn’t suit all the cricketers, and soon, it became a choice for younger emerging players, depending on their physicality and style. While some preferred lighter blades for cuts, flicks and deflections, others wanted to showcase power hitting wielding heavy bats. Legendary West Indian all-rounder was famously known for using a light weight bat throughout his career. The run rates started soaring following the initiatives by John Newberry and Gray Nicolls in the 70s. Nicolls and Newberry began experimenting with different changes in the weight of the bat, and adapted the “super scoop” technique. This featured a large scoop on the rear end of the bat, and extra wood on the edges. What this offered batsman, was a lifeline or two to enhance the “sweet spot” on the bat, in a bid to help make the blade more reactive to lose shots. The sweet spot has been further developed and altered in recent years, and today, we have a variety of bat classes, which batsman have all ready to chose from, depending on what style they come equipped with. The timber in the bats is now pressed lesser than it was during Ponsford’s era, which offers more striking power, and a light feeling at the same time. Though, this made bats less durable. Don Bradman claimed he needed to replace his bat every 1000 runs, and that all the world’s finest batsman did the same. In 2006, South African batsman Herschelle Gibbs claimed that he changed his bat 46 times in just 1 year. While in the early days, players mostly had to pay for bats out of their pockets, these days with various sponspors and contracts, they need not worry about breaking bats. Modern day bats, although less long lasting, provide both finesse and power. The biggest advantage of these less durable blades has been experienced in the form of the drastic jump in the net run rates. A staggering research by Cricket historian Charles Davis states that in the 19th and most part of the 20th centuries, less than half a team’s runs were scored in boundaries. While the post 1990 period reads a 60 percent rise in that stat! Other factors for the soaring run rates include fast outfields and shorter grounds. With increased limited overs cricket, and with powerful bats, batsman are no longer afraid of hitting boundaries, as even lose shots of mishits can go for a six! 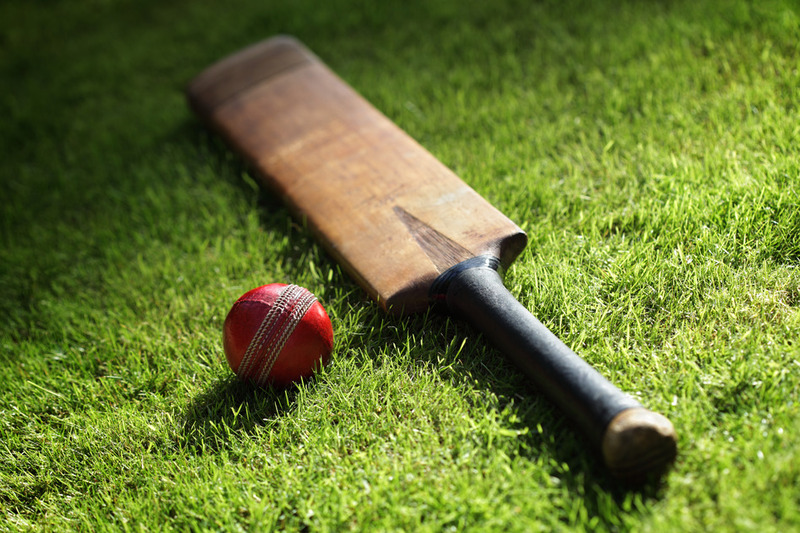 1624 – This event was what many historians believe to be the father of the cricket bat. A fielder was killed while trying to catch a batsman out. The batsman had attemted to stop the fielder from catching, by lodging his blade at him, killing him in the process. Cricket bats were shaped like hockey sticks in those days, which made them more deadly if used as a weapon! 70’s – The laws were altered to allow “length bowling”, though bowlers still bowled with the underarm technique. The cricket bat saw its width limited to 4 inches and a few centimeters, which is what is still used in modern day world. 1820’s – Underarm bowling banned, Round arm bowling was introduced, which allowed for more bounce and swing in the air. That accounted for batsman to change and develop their techniques, making bats go lighter with a higher swell. 1830’s – Uptill this period, all cricket bats were made from a single piece of willow. The 30s saw this practice altered to reduce breakages and to sustain faster balls. 1835 – The length of the cricket blade was restricted to 3 feet 2 inches. That has been in practice till date. 1840 – The handles of the cricket bats began being pierced with springs. The springs were made out of whalebone, and later using Indian Rubber. 1853 – Nottingham cricket Thomas Nixon innovated the use of sugarcane stalks in aiding the manufacturing of cricket bats. 1864 – The cricketing laws were further altered to allow over-arm bowling style , which paved way for even more lighter blades. 1870’s – Modern day cricket bat shapes were adapted.